Lupin attempts to get his hands on a treasure map, but finds himself in a crisis where the future of Tokyo hangs in the balance. Lupin attempts to get his hands on a treasure map, but finds himself in a crisis where the future of Tokyo hangs in the balance. In Tokyo, Japan it's a matter of days for the theme park resort, AquaLand to open on August 1st. Micheal Susuki, owner of the resort owns part of the set of photographic plates that are linked to a hidden fortune. 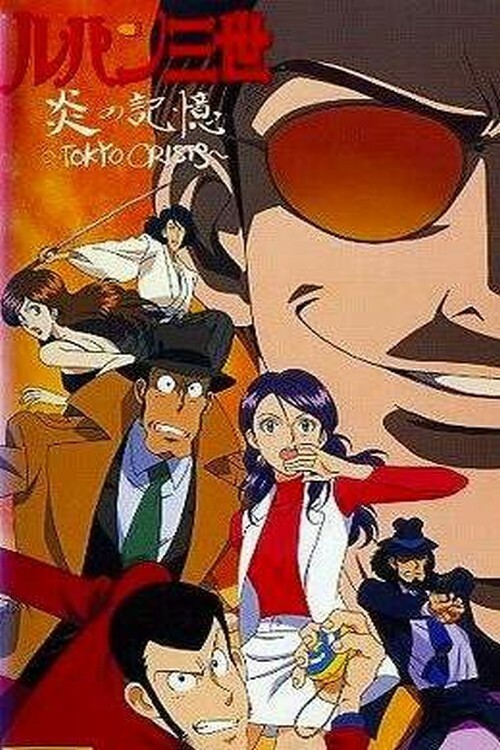 Lupin is after these photograph plates himself, Jigen is unable to concentrate on his shooting skills due to his tooth ache, Goemon has teamed up with Fujiko for his own reasons, while Zenigata is accompanied by a journalist named Maria, who's given permission to tag along with him to make an article on him. Maria however is not your average young journalist, as she has the ability to see visions of upcoming events. It's all a mystery until it's August 1st. I had watch the movie in japanese I say it great and I like about it is we get to see more of Inspector Zenigata and other are great too I'am a lupin fan also many other who are will love this movie. Also I hope Funmation will make a english version of it very soon and it will come out on vhs and dvd. 9 of 10 I recently watched this on DVD. And it was flipping awesome! Every minute of this Lupin movie was action packed! The animation is great, the story is great, and even the additional characters are great too. This is also the first time they have Inspector Zenigata playing a bigger role. It's all taken place in Tokyo and has a lot to do with this new Aquapolis resort and a young woman named Maria who has a connection with the owner of Aquapolis, Micheal Susuki. Has all the good stuff you'd expect from a good Lupin TV movie. i highly recommend this to all the Die-Hard Lupin Fans.